The Ford Fusion has been one of the top choices for a new car for a long time. It’s easy to understand its popularity with drivers as it offers an amazing list of qualities that include innovative technology features, luxurious comfort options, sporty good looks, excellent performance on the road and outstanding fuel efficiency. With four engine options to choose from when shopping for a 2018 Ford Fusion, you’ll have no problem getting the power, performance and fuel economy rating you’re looking for in a new car when choosing the Ford Fusion sedan. 2.5-liter 4-Cyl – This is the standard engine you’ll find underneath the hood of the 2018 Ford Fusion S sedan. It generates 175 horsepower, 175 lb-ft of torque and uses a six-speed automatic transmission to send all that power to a front-wheel-drive system. 1.5-liter Turbocharged EcoBoost® 4-Cyl – This available engine combines turbocharging, direct injection and independent variable valve timing (Ti-VCT) to help give you better performance and fuel efficiency on the road. 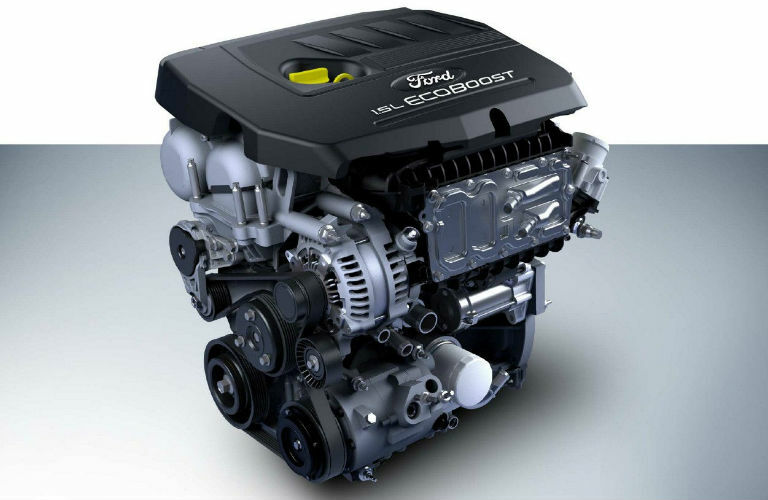 This turbocharged EcoBoost® engine offers 181 horsepower, 185 lb-ft of torque and uses an automatic engine stop/start feature that helps save fuel. 2.0-liter Turbocharged EcoBoost® 4-Cyl – When choosing this available EcoBoost® turbocharged engine, you’ll get an impressive 240 horsepower and 270 lb-ft of torque. It is paired to Ford’s SelectShift® six-speed automatic transmission and offers steering wheel-mounted paddle shifters. This 2018 Ford Fusion engine option also offers the traction control of available all-wheel drive. 2.7-liter Turbocharged EcoBoost® V6 – This is the most powerful engine in the 2018 Ford Fusion lineup. It can only be found underneath the hood of the 2018 Ford Fusion V6 Sport. It comes standard with all-wheel drive and cranks out an incredible 325 horsepower and a whopping 380 lb-ft of torque. It uses many performance features to help deliver the driving dynamics you’ve always dreamed of having. 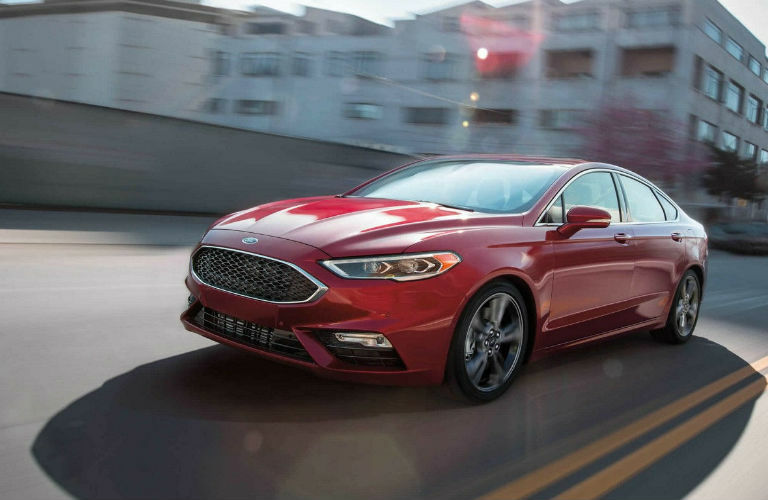 What’s New on the 2019 Ford Fusion? This entry was posted on Wednesday, August 15th, 2018 at 12:40 pm	and is filed under Ford Fusion. You can follow any responses to this entry through the RSS 2.0 feed. You can skip to the end and leave a response. Pinging is currently not allowed.